Since the Bahamas, I’ve enjoyed photographing some of the most, uh, interesting food and drink we’ve encountered. We’ve eaten very much as we always had, needing to make only a few adjustments, as we’ve found certain staples aren’t always available, but discovering new culinary delights is a major advantage to traveling. I can only hope it gets to be even more fun as we move along. Say it isn’t so! Who’s next, Mr. Snuffleupagus?? 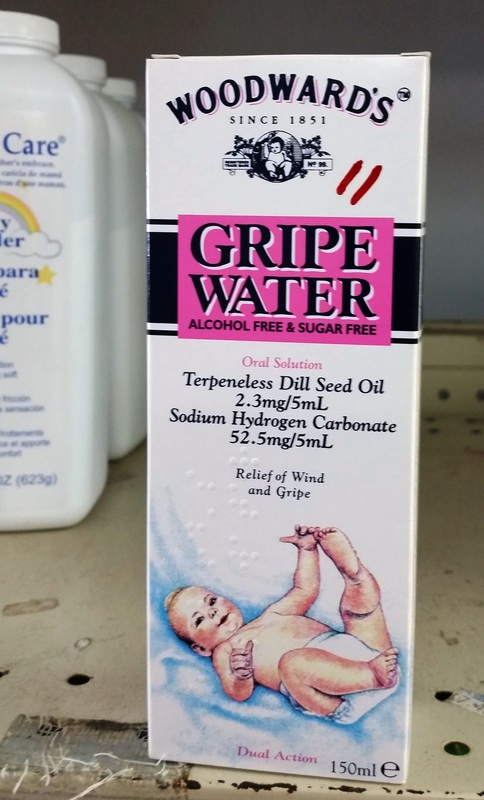 Got a gripe with your baby? There’s a remedy for that! 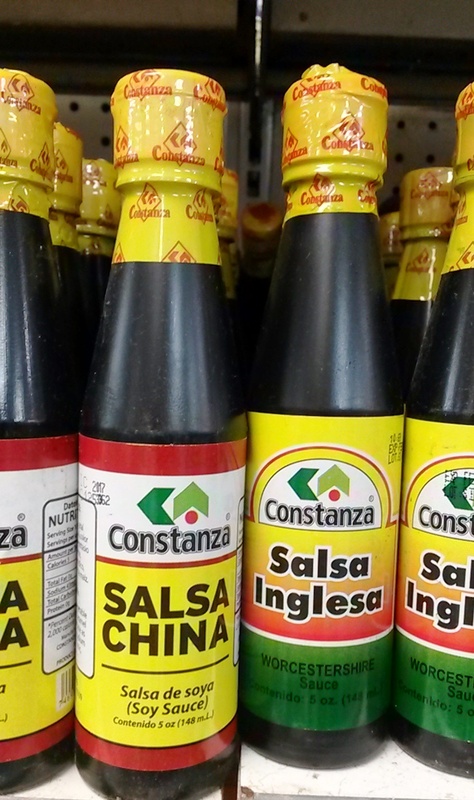 I was delighted to find Crystal and Louisiana hot sauces all over the DR. I wish I’d picked up more, because that was the last place I saw it. I don’t usually enjoy soft drinks, but this is different! I first encountered Vita Malt in the Bahamas, and have found variations on these nonalcoholic malt beverages everywhere since then. 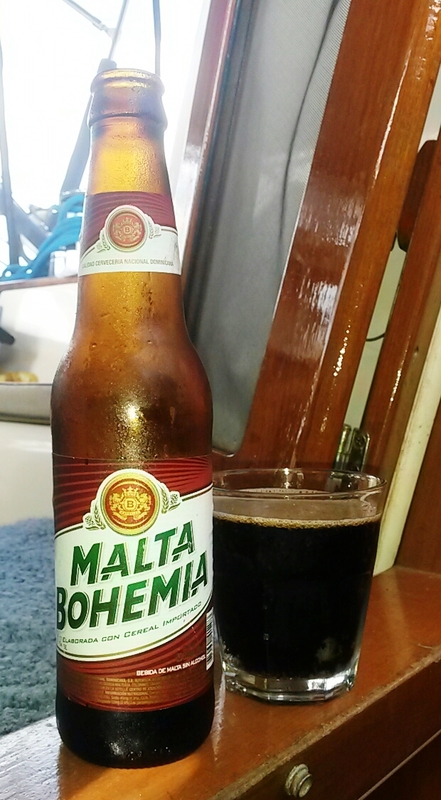 If you like the taste of malt, you will love this! For those of you home brewers, it tastes a lot like the wort used in the beer brewing process, but carbonated. So good! Cream of Wheat by another name. 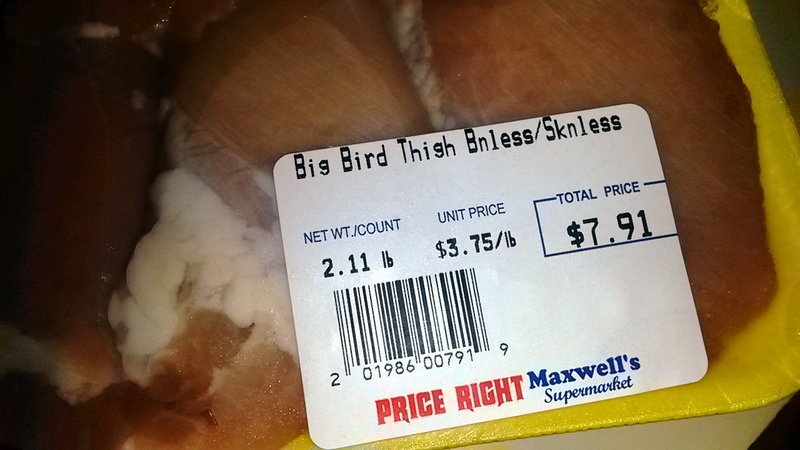 Uh, yeah, nothing racist about this. And why is Isaac from The Love Boat a cream of wheat poster boy? 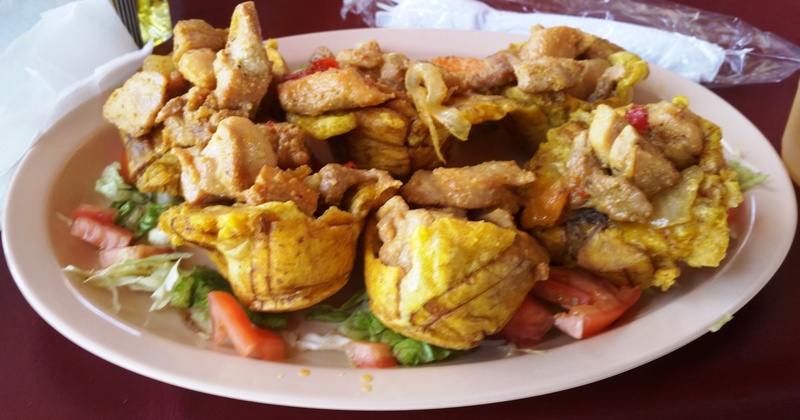 Mofongo (mashed plantains) cups stuffed with chicken. All food should come in edible vessels. Roadside rotisserie in Mayagüez. We’d never had such delicious food from a truck! 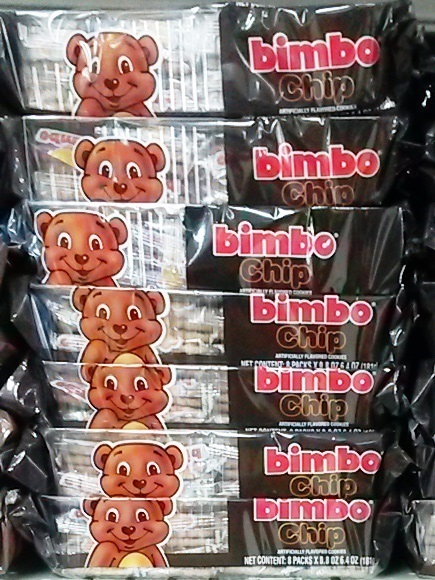 Who can say no to bimbo chips? 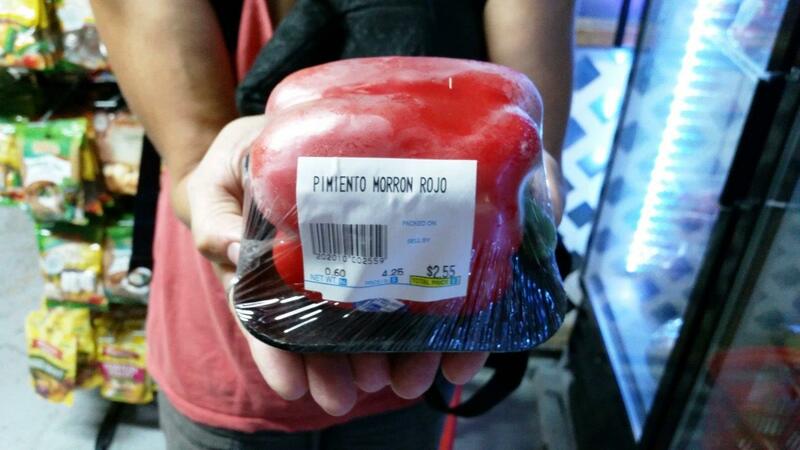 One of the things that drives me absolutely crazy is how almost all produce comes pre-wrapped on styrofoam. I am someone who never even puts her fruit/veggies in a plastic produce bag. This is so wasteful! This is a calabash. 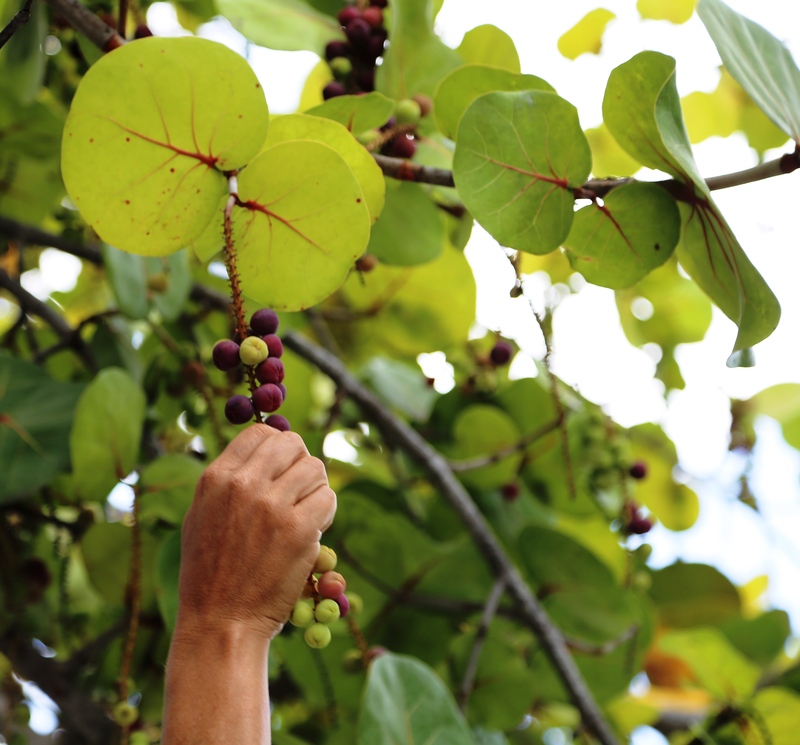 They are reported to be edible, but we weren’t comfortable stealing this one to find out. I love that they just spring straight from the big limbs of the tree. I thank our friend, Ashley, for telling us about sea grapes. 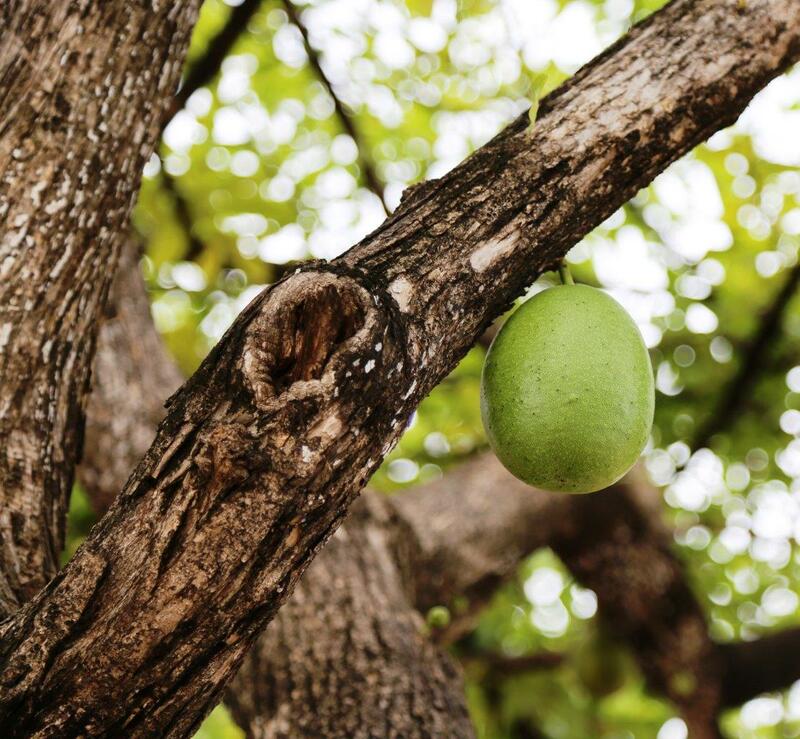 I waited almost 6 months to find some ripe ones, and they were definitely worth the wait! 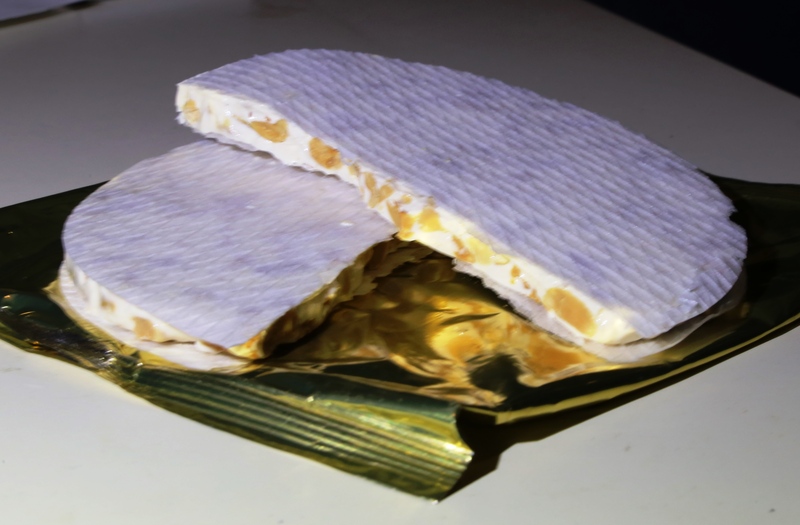 This is turrón – nougat, typically made of honey, sugar, and egg white, with toasted almonds or other nuts. 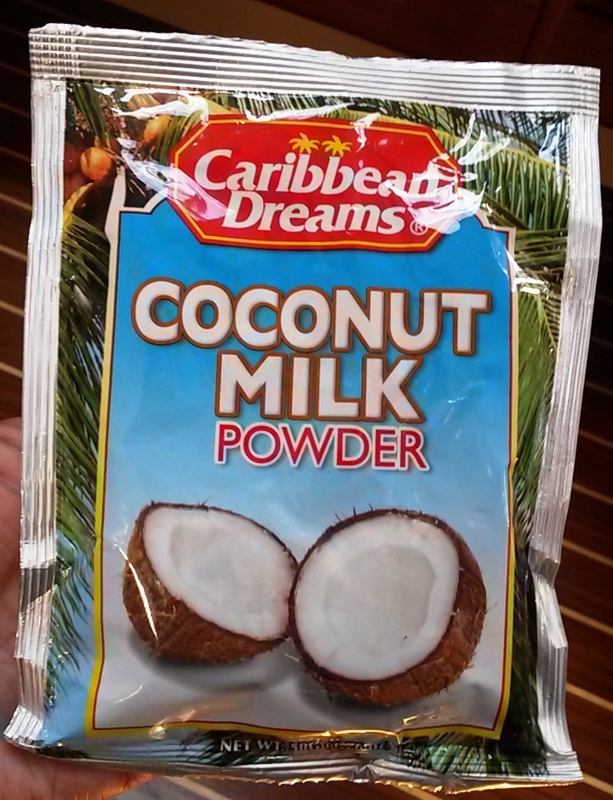 John-Michael was thrilled to find this sweet, childhood favorite in the checkout line. No Milky Ways, Skittles or Snickers – just this. Cilantro haters look away! This is, by far, my favorite discovery. I was incredulous that I could never find cilantro in PR. Turns out it’s sold in a completely different form than I’m used to, and called “culantro” or “recao”, but it’s just as delicious. A note on how our eating habits have changed. We have started accumulating new staples, which I may have only had occasionally back on land. We have a fridge/freezer, but space there is limited, so storage of veggies has to be timed just right so they don’t rot in our hot, humid environment. 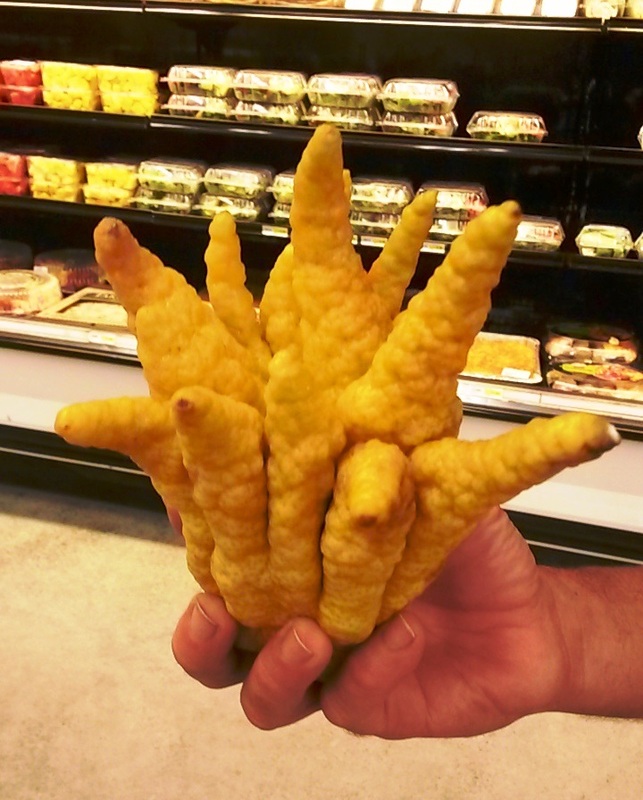 Grocery stores aren’t always easy to find, and most have limited selections of produce. “Must-haves” now include, cabbage, large carrots, more onions than we ever used to consume, potatoes (weird, but we really never ate them before), and other hardy veggies that will last a very long time. We also eat, pretty much, every part of the veggie. I can’t believe I ever tossed broccoli stumps! They are delicious in salads, or pan roasted. Cooking differently has become a fun challenge. 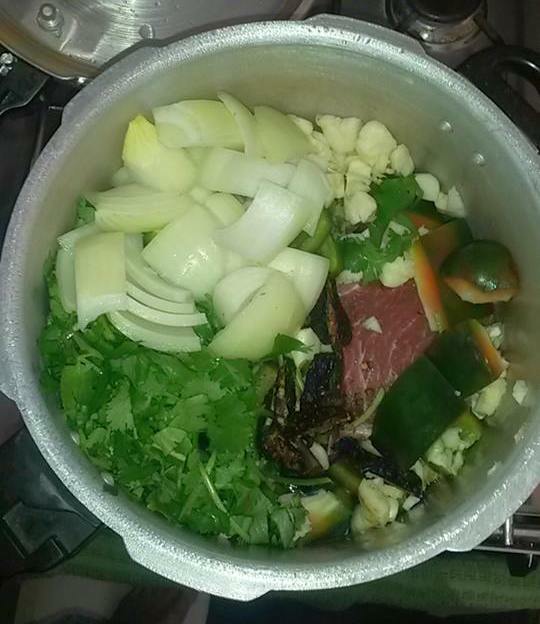 We prepare a lot of food in a pressure cooker, and have started learning how to bake on our outdoor grill. My weekly pot of black beans. They’re so good, after over a year of eating them almost daily, we still love them. I can promise you this, if you come to stay with us, you will not go hungry! Have you had guanabana yet? Hey Steve and Melissa are on Yarika and they are currently at St. Martin. Steve wants to know where y’all are. FYI Steve was a PICU nurse at Oschner. And what is your opinion of the Cape Dory 270? Oh, we totally know them. I realized immediately when you mentioned the boat name. It’s funny how sailors become their boat name instead of their last name. They came to introduce themselves when they saw our boat is from NOLA and we were in the same anchorage. Small world!